We get the very best out of our athletes with the aim of winning medals and titles at the New Zealand Club Champs held in February each year. Training starts in September and the National Champs are held the week before university starts in February, so it is definitely possible to row and still make it to uni in time for O-week! While we train hard on the water, club rowing is also about having a good time off the water. We have a senior leadership group who are responsible for ensuring that all of our rowers have an awesome time while they are at the club. We pride ourselves on the community and culture that we have established at CRC over the past few season, and our active "social calendar" plays a big part in that. Our club rowers organise regular events such as BYO dinners, Uber eats parties, after training "debriefs" at the local pub, as well as our annual events such as the CRC Farm party (definitely not one to be missed!). This really is a club for the rowers, run by the rowers. We are here to train hard, race hard, and have an awesome time with the squad while we do it. We love getting new novices out on the water at Canterbury Rowing club. 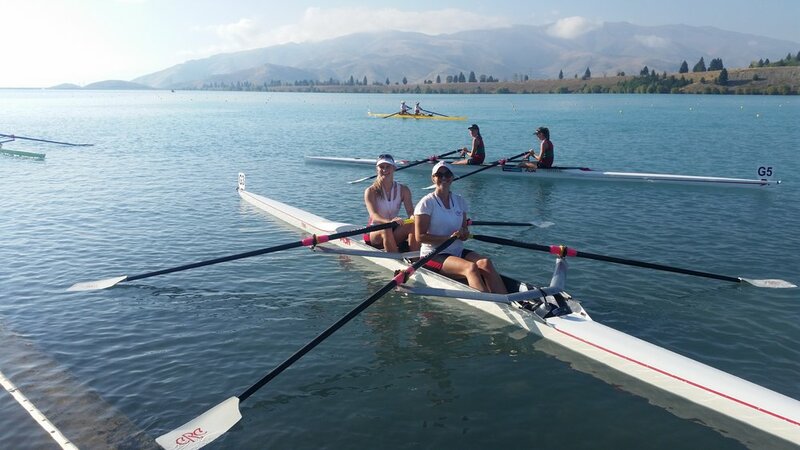 While high school and masters rowing are already booming in New Zealand, our specialty is getting people involved that fall into the gap in the middle. We take on people ranging from those who have just finished high school through to people in their early 30's. In 6 months of training take you from no rowing experience at all through to racing and competing for medals at the New Zealand Club Champs. Our past novice rowers have included university students, teachers, tradies, young professionals, high school leavers, and the list goes on. There is no "type" of person that does rowing, you just have to love working hard, getting fit, and once you've got the rowing bug you just won't stop coming back! If you think rowing could be the sport for you, get in touch with us and we can sort out a time for you to come down and check out the club. Most novices start in September so coming along to our open day on the first weekend in September is a good option. Our aim is to provide an entry-point for new members of the public to learn and develop the basic skills of rowing. No upfront cost or commitments for the first few sessions, just come along and have a go to see if rowing is for you. You've got nothing to lose so head over to the contact page to get in touch! Unfortunately CRC does not have the capacity in terms of coaches or boats to train beginner masters rowers at the moment. There is no age limit on our novice program however the time commitment we ask from our novice squad means that the program is not well-suited to athletes with multiple career and family commitments. There are other local clubs which do have active novice masters squads and we are happy to point you in their direction. Our club and senior athletes are right at the heart of our club. During your time as a club rower you will develop more than just an incredibly attractive physique and world class rowing skills, you will learn to self manage your time, work in a team with people of different backgrounds and ages, how to fend for yourself (there aren't any parents to cook your food at camp or regattas! ), and generally how to become a fully functioning adult member of society. The new members to our club squad each year include, school leavers, rowers new to Christchurch, former rowers looking to get back into the sport, and our novices from last season that are making the big step up into the club grade. The Senior and Club Rowers all train to make the top crews and compete at the National Rowing Championships. We compete throughout the year at local regattas with crews and boat classes raced in decided by the squad and the coach together. Make sure you come down and check out what we have on offer at the beginning of the season. Whatever your goal is, be it to train hard and have a good time, win medals, or to push on to RPC and new Zealand rowing, we can help you achieve it. High school age rowers should first check with their school to see if rowing is offered as a sport. For those that don't have rowing at their school, get in touch and you may be able to join in with our club novice program. Most of our training is completed either on the water or on our rowing machines in our boat shed at Kerrs Reach in Christchurch. We do like to get away from Kerrs Reach sometimes though, so as well as on water training we run regular whole squad land based sessions varying from hill and stair runs, to mobility sessions, bike rides, and day walks in the hills. We also like to get out and about with on water training sessions at the Waimakariri River, and other near by suitable training locations. Our usual training times are 5:45pm after work, or 6am before work, as well as a weekend morning, with specific days scheduled to suit the group and coach. Someone who is just starting out in the sport who wishes to be competitive in the Novice grade (for first year rowers) will probably start off with novice squad training 3 times per week building up 4-5 times per week as the season progresses. Club rowers who are a bit more used to the training load that comes with the sport will start off with 4-5 sessions, and build on that number through the season (if you've rowed before you know what its like in the couple of months before your big event). Most regattas are held in the weekends and are both days (travel Friday night and return to Chch after racing on Sunday PM). We do have an annual training camp in early January for 5-6 days which we encourage everyone to attend. The season culminates for the club squad with the National Champs which are held over 5 days in February. We release a calendar at the start of each season that outlines all the regattas and dates though to the national champs.